The future draws ever nearer, and with the sights set firmly on electric, Nissan have a wealth of stunning and exciting projects ready to propel us into a new and sustainable age. 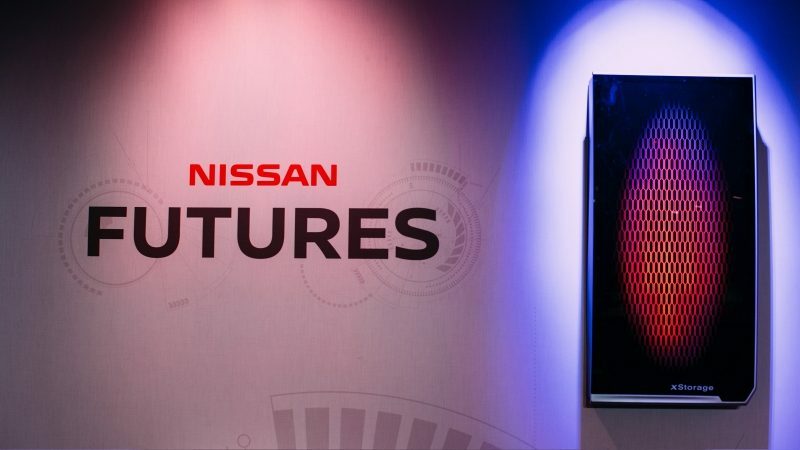 The inaugural Nissan Futures gave us the opportunity to showcase some of this cutting edge innovation to the world, opening up a platform for discussion and paving the way for us to revolutionise the worlds of mobility and energy. For the first time in history, a car manufacturer has built 50,000 electric vehicles in Europe. 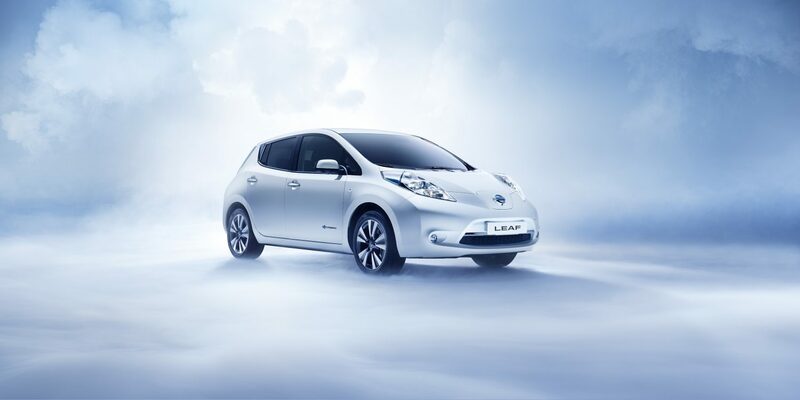 The 50,000th LEAF represents another landmark for Nissan and the best-selling electric vehicles of all time. 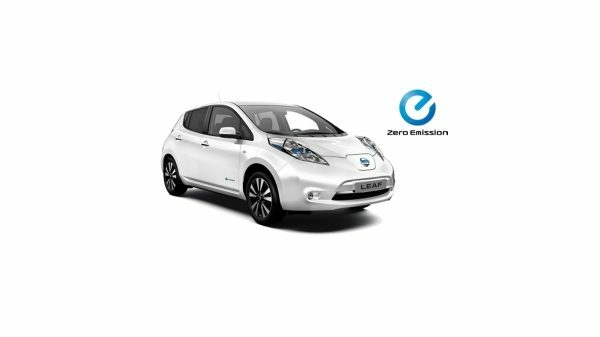 Supporting jobs, economic growth and a clean, zero-emission future, the LEAF's continued success spearheads Nissan's commitment to an Intelligent Mobility revolution. 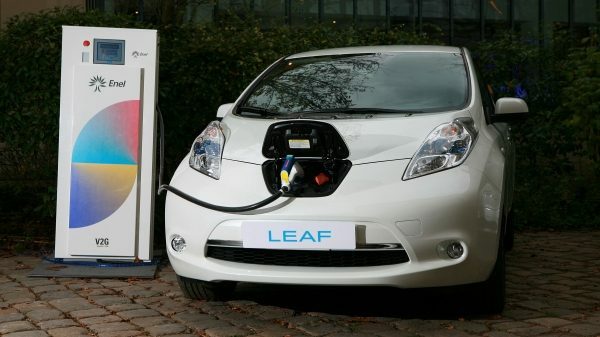 Teaming up with multinational power company Enel, Nissan have launched the first ever UK vehicle-to-grid programme. In another revolutionary step forward, the V2G units will allow drivers to store electricity in their vehicle’s battery and return it back to the grid when needed, giving them an active role in grid stabiliy and an alternate source of income. 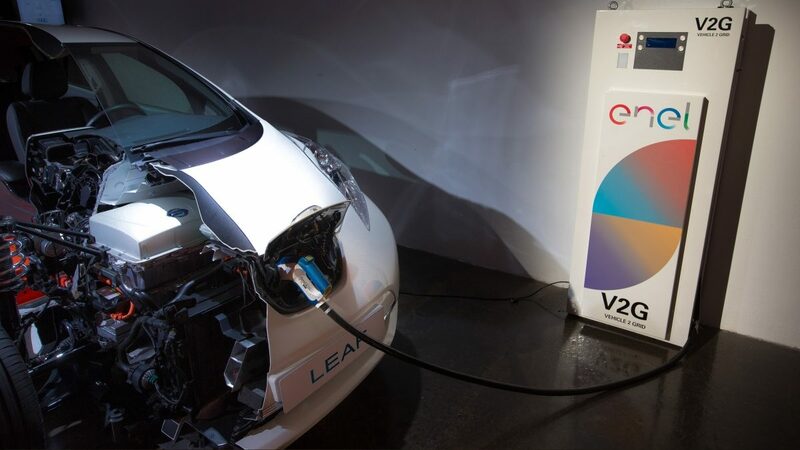 The V2G will pave the way for Nissan electric vehicles to become the mobile energy hubs of the future. 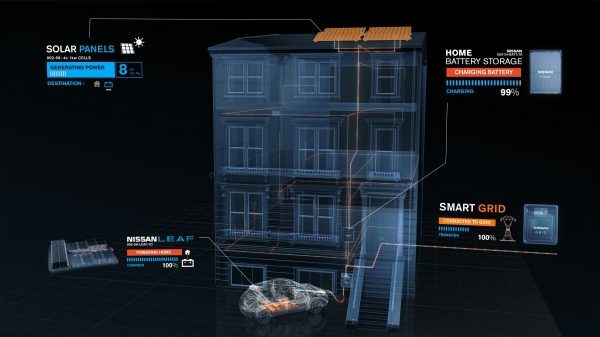 Nissan are revolutionising the way energy is supplied to the grid. 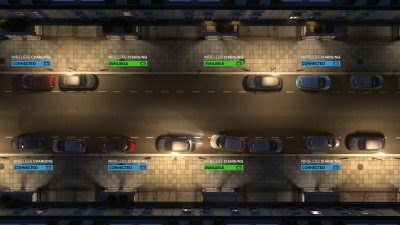 As it grows, the Vehicle-to-Grid technology will allow Nissan Electric Vehicle owners to be important and active players in the UK energy market. The Vehicle-to-Grid units will ensure no energy goes to waste, giving consumers an unprecedented level of control over how much they use, and how they use it. Where Do Fuel Stations Fit Into Our Electric Future? If the future is electric, the question arises as to how fuel stations will look. In association with architects Foster + Partners, Nissan have concluded with a thought-provoking answer: the fuel station of the future could be the car itself. It would autonomously and wirelessly charge while we sleep, give energy back to the grid and power homes as day breaks, before recharging again at the office. This future would see homes, cities and cars in complete sync, powering each other using recycled clean energy. 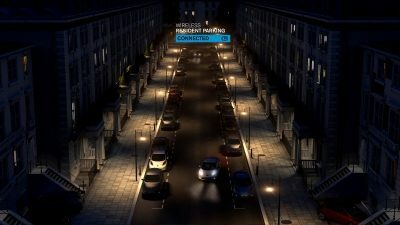 Cars that autonomously park and charge, all while you're fast asleep, will populate the streets of our future. 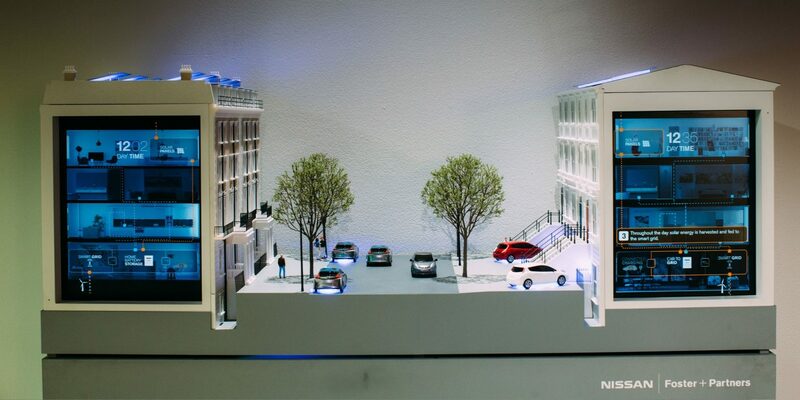 Our exciting vision of the future will see entire streets perfectly harmonised to maximise our energy efficiency. 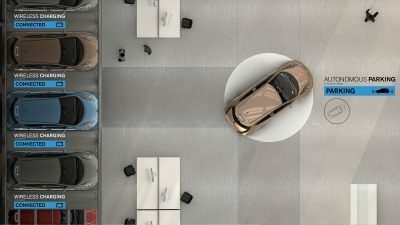 The workplace won't be left out of the revolution, with automated park-and-charge systems collecting our cars, which could then power the office itself. It's time for the way we use energy at home to change. In partnership with power management leaders Eaton, Nissan are set to launch their new xStorage device, giving consumers the power to control how and when they use energy in their homes. Charging up when energy is available, and releasing when demands are high, this state-of-the-art device will radically change home energy consumption, delivering consumer benefits and providing a sustainable energy grid. The Nissan LEAF is the world's best-selling electric car, blazing the trail for our elecric, sustainable future. 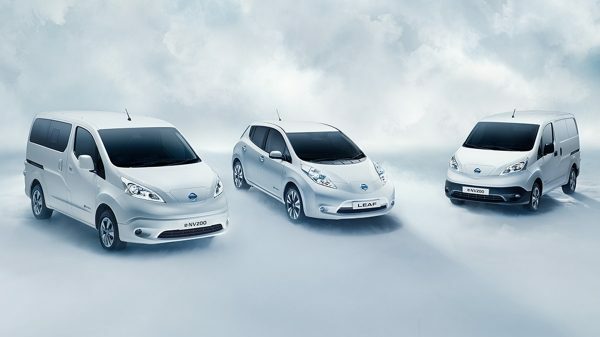 Our groundbreaking and world-leading range of Nissan EVs - leading the charge towards the future.